I’m a big fan of leaping toward our dreams, fueled up on faith and determination. If we hold off, waiting for that “net”—i.e., the perfect job offer, mate or opportunity, it may never appear. That said, effective leaping takes a lot more than gusto and springy legs. Today marks the end of a near 40-year career for someone I admire and respect more than most anyone—my dad. His dedication and commitment to UPS, the company he’s worked for, is something we can all learn from. He worked his way up from loading packages to landing and managing top, international accounts. He created and nurtured friendships with coworkers, treated (and still treats) everyone he encountered with equal respect and never let his work come before his family. Far more than an end, Dad’s retirement is a beginning—one he’s anticipated and planned for with thoughtfulness, organization and, I sense, glee. He didn’t leap too soon, after frustrating days or times, or too late, out of fear of what lay ahead. In other words, he’s a smart and savvy leaper. In honor of this landmark day, here are six ways we authors can learn to leap smart, increasing our odds of living happily and creatively ever after. 1. Listen to your instincts. Research shows that our instincts frequently strike us first on a visceral level, relaying important information before our consciousness catches up. In other words, there are valid reasons your gut tells you to focus more on craft, quit your day job or start that new creative work. If we rationalize ourselves out of listening, we may never discover what we’re capable of. To hone in on our instincts, buddhist physician Dr. Alex Lickerman recommends we take pause and listen for that inner-voice; awareness can go a long way. I’ve also found journaling, therapy, quiet hikes and talking to loved ones helpful. 2. Don’t self-publish out of desperation. You’ve slaved over that novel, read, revised it and shared it with trusted, well-read friends who gave it a unanimous thumbs-up! And dang-nabbit, you want it published. So you send out twenty e-queries and a week later, you’ve received ten replies, all rejections. A smart leaper views this as a natural part of the process, ten ‘noes’ toward a ‘yes.’ The not-so-swift leaper heads straight to PublishItNow.com and sends an email blast announcement to friends: “I’m published!” There are loads of terrific reasons to self-publish. Desperation is not one of them. 3. Practice patience. Whenever I reach the end of a draft, my inclination is to send it, print it, share it! When I’ve done so, I’ve found loads of errors and other reasons I should have waited. When we rush, we run the risk of bypassing our instincts, acting on desperation and producing low-quality work. When a flurry of “Must do it now!” strikes, take a breath. Passion and eagerness are great attributes. Add patience to the mix and you’re gold. For a dose of inspiration, check out Marc Schuster’s post, A Setback Circa 2004—a great example of perseverance paying off. 4. Trust the process. Many “overnight success” stories derive from years of hard work. Envying others’ success or wallowing in frustration (“It’s not FAIR! I’ve been working so hard and so long!”) are counterproductive. Invest time and energy into steady progress instead. Write routinely. Take craft and career pointers from qualified professionals. Then write and write some more. Slow and steady also wins the race when it comes to building social media platforms. In 10 Ways to Improve Your “Likability” Quotient, Kristen Lamb shows us why the quality of our readers and connections trumps quantity big time. 5. Savor the leap! Once you decide to leap, whether toward more daily writing, a new creative venture or less hours at your day job, do it with gusto! Share the accomplishment with friends. (Yes, leaping is an accomplishment in itself.) It’s natural to experience some level of nervousness post-leap. (“Agh!!! What did I just do?! ?”) Taking time to reflect on how far you’ve come, what you foresee in the future and celebrating it all can work like chamomile tea for anxiety. For insight on keeping our fears of failure and success at bay, read Marcy Kennedy’s post, Icarus and My Fear of the Sun. 6. Get to work. Even smart leaps will land us on the pavement if we fail to follow them up with necessary work. Sitting around wondering if you’ll finish that book, surfing the internet or partying too long in post-leap glory won’t put words on the page. Leaping takes time, but reaching our full potential as authors takes a heck of a lot more. What about you? Have you taken a big leap? Are you considering one? Any suggestions to add? I always love hearing your thoughts! Happy Leap Year! I hope you do something to make yours special. Thanks for linking to my post! I’m struck by the fact that your father’s career with UPS really does mirror what writers need to do, particularly with respect to creating and nurturing friendships. Of course, the writing is always at the heart of what we do, but what’s the point of writing if not to share it (and, by extension, ourselves) with our readers? Great post! So true, Marc. Glad you dug the post! Thanks for this advice. I definitely need to leap more instead of going over pros and cons in my head over and over….Hope your Dad has a great retirement. Thanks, Emma! Most of us have been caught in over-think mode at some point… Best of luck with that leap. Fantastic post August and wonderful and thoughtful advice! Congrats to your Dad and here’s to many years happily retired – woot woot! Big leaps. LOL! I’ve taken a few. Probably mostly career related changing jobs and I am happy to report I followed all the advice you gave…it’s so true!!! I think patience is the greatest advice. Not only patience before you take the leap but patience once taken. I’ve come into new jobs and at first, with the transition, it’s been awful and I was anxious with “what have I done…” fears. But with some patience, usually after 3 or 6 months, the leap always turned out to be the BEST and my instincts were dead on! Yay! So glad the tips ring true for you. Each time we we reap the benefits of patience and guiding with our intuition makes it easier the next time around. Keep up the great work! As you know, I’ve recently taken a leap. The inner voices weren’t just telling me, they were screaming at me to walk away from the day job. As fearful as it was with the economy so unstable, I still did it. And I have no regrets. Of course, it wasn’t a spontaneous leap. I talked it over with the husband and we figured out our finances. I even took a few months to pay off a few things first. But when it was time, I jumped! And I couldn’t be happier. Congratulations to your Dad on his new beginning! I have chills, Jennifer. Thanks for sharing your story. Congrats on your new chapter! I think it’s important to weigh the emotional cost of career changes and investments. We may make more money doing A, but will we be happy?? I’d much rather dine out less and cut coupons than rely on routine paychecks for the sake of doing work I love. You got that Rite – to invest with the sacredness of your time. Choose your legacy – by your offerings. If not the purist ideal setting at present, still enjoy and celebrate the downstream venture as long as the ride is available – TBD. Wu-Wei / Gung Ho! Divine discontent encourages a creative Peace. Thanks, MG! My dad does have great plans. I’m confident he’ll have a blast in retirement. Your story is a testament to what wise leaping can accomplish. Taking leaps as you have does take an amount of courage and discomfort, but it’s often far better than the alternative: doing or trying nothing at all. Fine, fine post, August, in particular, your words about wanting to share a piece of writing before it’s time. As you say, every time it’s a mistake. Also appreciate that overnight success comes from hard work; that seems so often forgotten. I guess I took a “Leap” of faith when I began writing about this time last year. I hadn’t written since high school since I majored in art and tested out of English requirements…so I am still leaping every day trying to make up for lost time. I can relate to your dad since my last job (full time mom) lasted until the kids both kids went to college and then-some. So this is really my third career! Congratulate your dad for me! Wow, Susie. I never would have guessed you were a relative newbie. 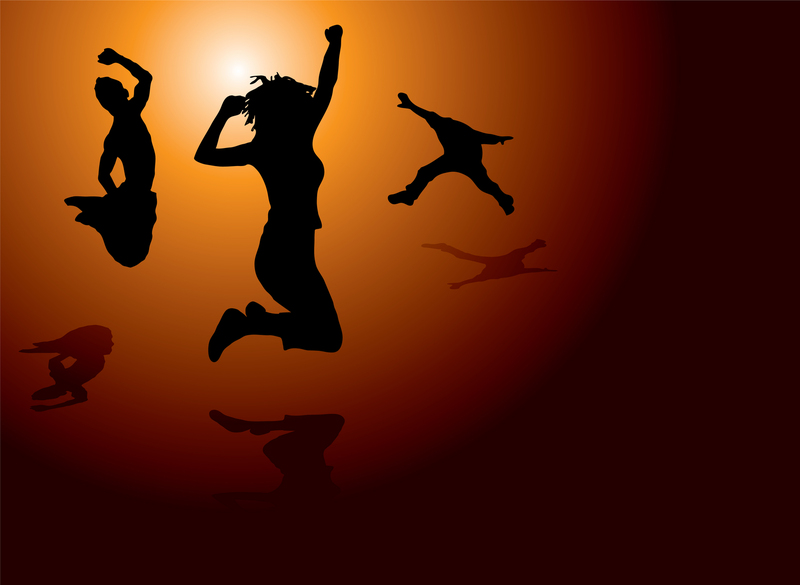 You bring up such a great point: as writers we do continually leap. The outcome of every day, page, project and venture depends on our faith, decisions and work. I’ll definitely give my dad your kudos. Thanks! Wow! Thank you so much. That means a lot. I am totally new and the sad thing is although I have gotten tons of support from my family, not so much from some of my friends. I don’t know what it is. Jealousy? Luckily, I have lots of them so I just blow the others off. Like I said, I am really in a hurry to catch up and don’t have time for negativity which is why I am such a big fan of your blog! No idea why I’m just finding your blog, but I love this post. First off, big congrats to your dad on his retirement. Well deserved, I’m sure. Your post on instincts really hit home for me – I’m a big believer in following mine, although I have to be careful not to look before I leap, lol. I ignored my inner voice for far too long. However, now that I’ve made the leap–left the job, transitioned to writing–I have to face the constant “Did I do the right thing?”, “Will I fail?” Time will tell, I guess. But even if I don’t succeed, I’ll know I tried. Sounds cliche but is true. From my perspective you did the right thing simply in trying, particularly with those what-if questions. And a basil level of concern can even help fuel our work, as long as we don’t let it get the best of us. Best of luck as you forge ahead! I’m no psychic, but I have a feeling you’ll do quite well. Thanks for some great thoughts and for honoring your dad in this way. Sure wish you’d written it (and I’d read it) last year, though — especially #2. I’m looking back and wondering if there wasn’t a tinge of desperation in my decision to self-publish, even though I came up with a lot of good reasons to do it. Great advice. Now to put into leaping action. Congratulations to your dad! And it’s true the lessons do extend to us writers. Excellent advice, August. Congratulations to your dad! Your dad sounds like a great role model. I love all your points you made. I’m not leaping for the next little while I have some craft hurdles to work on. Congrats to your dad! You raised some fantastic points here. Motivation is very important in the process. A question I always ask is: are you leaping just to escape something or are you leaping toward something? I try to be leaping toward something. I think instincts are essential. Every time I’ve gone against mine, I regretted it. Thanks, Kourtney! Excellent point about motivation. I bet simply asking yourself that question makes the answer(s) pretty apparent. We can certainly leap for the wrong, or at least undesirable, reasons. Self awareness is so key. Fantastic post, August! You never fail to inspire. I feel that I made a huge leap this last year when I came out of the closet with my writing. I hadn’t started all that long before that. I’d been denying it for so long. I’m gearing up to make another big leap within the year, maybe two (I hope). There’s been no rushing. All very well thought out. I’ll take my time and delay if need be. No need to rush a faulty product to query. Thanks so much, Debra. Sounds to me like you’re on an exquisite path… Go, go, go! (Without, of course, rushing. ;)) I can’t wait to follow your progress. This is a very inspiring and grounding post, August. Congratulations to your dad! How cool is that? I love the pointers about being patient and trusting your own instincts. Leaping too soon could have disasterous results. Always nice to be reminded of these things. Great advice. I used to rush everything and send things out too soon. Boy, did I learn a lesson. I now check and double check things and know that my work will be released into the Universe in divine timing. A lot of good steps. I find it difficult to decide when to ask others to review my work, but know very definitely when it was too early! I forget who said it but excellence is a habit, or as I tell my girl, practice makes perfect. And I need more practice! Congratulations to your dad and all the best to him and his future endeavors! I always pay hard when I don’t listen to my instincts. I use my planner as a journal and it is definitely a help in finding inspiration. Desperation should surely not make our decisions. I’ve seen an artisan push the its got to be done this moment button all too often and ends up time after time doing way more work than taking the time to do it right without rushing. Speed comes with experience but rushing never makes fine art! Fine art is very methodical. I do contract work for a fine art gallery from time to time that is run by a famous artist that has four or more employees promoting him daily. In addition all his connections at museums and etc. are promoting him. He promotes himself as well much of everyday. People that envy him don’t promote themselves like he does! He is always looking for new ways to promote himself. Another art company I used to work for has an owner that is an absolute marketing animal staying on the phone constantly to make appointments when he is not out on the road selling the art his company creates. He taught me more about marketing art than anyone I’ve come across thus far in my career. Yet another stellar post August!!! “Speed comes with experience but rushing never makes fine art!” Well said, BoJo! Keep up the awesome work. Love, love, love this! Again, congrats to your Dad! One of the hardest things for me to do is send out my stuff because I want it to be perfect, but sometimes you just have to take that leap and let others give you an honest critique. Patience is key. I’m pretty sure some of the folks who self-pubbed are thinking, dang it! I should’ve waited for another draft, but once it’s out there it’s forever. Great stuff, August. Thanks so much of sharing it. Thanks, Tameri! Your kudos mean so much. I understand your desire to perfect your work—one reason I rarely go back to read already published articles and posts. I think that, given enough practice, we we can develop a sense of “ready enough” in regards to our work. That and feedback from mentors, agents and other quality readers go a long way. I’ve been reading so many pieces of advice on writing lately, August, that I thought my head was going to explode! Your post has been a breath of fresh air, thank you! Very solid and rational words of wisdom! Congrats to Dad! That’s awesome. That long at one company is unheard of these days. I spent 14 at mine, and shudder to think what I’d have been like if I’d stayed any longer. A miserable excuse for a person, that’s what. I took the leap when my husband transferred to another job in another state. I left that dead-end job behind, and left the entire field to indulge my passion for writing. Here we are, two years later…still working it. And loving it! And hopefully one day in the not-too-distant future I’ll take another leap into publishing something. I love that you took your father’s retirement and wrapped it so nicely with the goals for writers. I have a funny feeling that your father will be busier retired than before his retirement! LOL! It happens all the time. I, like Susie am new to writing. I started writing two years ago. So I’m still trying to be comfortable writing in front of the world. Well, the small world of WANA, as I’m quite sure there’s not many more than that looking at my work. Although I do have Donna Newton reading my current MS right now. She’s says she’s excited, but we’ll see just how excited she is after she’s done reading it! LOL! And then there’s the fact that I do not write about what it seems most in our class writes about. I am writing, or should I say, trying to write Literary/Commercial fiction. And I’m trying to find others who write in that genre so I can learn more about my craft and meet more people. Just trying to spread my wings a bit. Thank you August for sharing this with us! Thanks for this, August! And congrats to your dad! Hi August, I’ve had to overcome a lifetime of impulsiveness, and am in the process of helping one of my daughters overcome it, so each one of your tips can apply to the world beyond writing. Enthusiasm is very important and helpful for any project, but when it isn’t controlled it can turn us sour on any “leap”. Holding back the enthusiasm (words, planning) – just for a little bit – is always better for any project. Congratulations to your Dad. Great tips. I thought I would play catch up on the 29th, but it turned into a regular day. So, I’m catching up on Saturday. I finished the vomit draft of my memoir this week and I held onto No. 3 when someone immediately asked “When can I read it?” I still have revisions to complete and edits, but I’ve got my foundation and I’m happy about that.